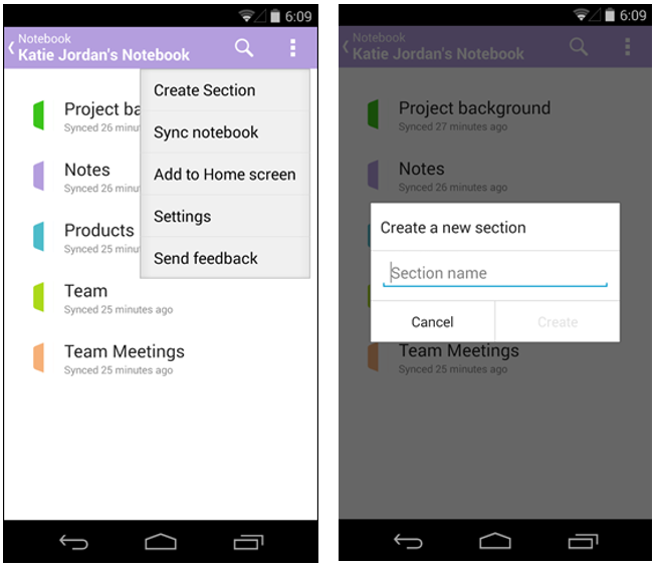 We’ve been listening to your feedback for OneNote on Android and your need to manage your sections and notebooks. 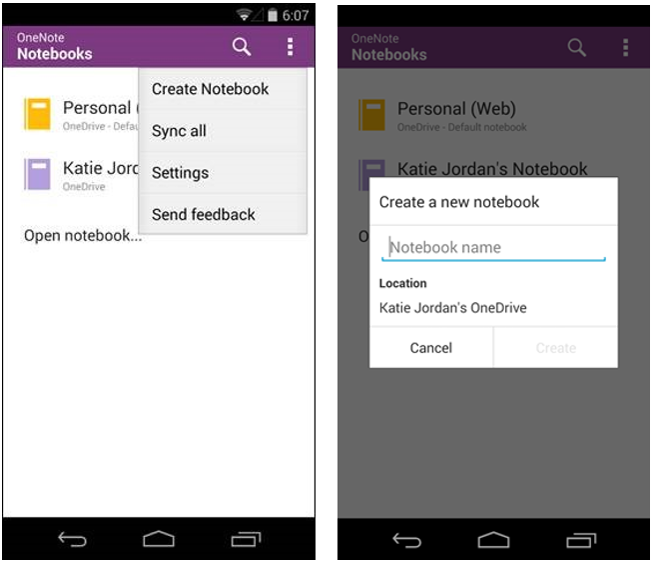 Today’s update to the OneNote app lets you to do just that. Now you can create notebooks on OneDrive and also create and delete sections for your OneDrive notebooks. Notebooks are great way of storing, organizing and managing your notes. 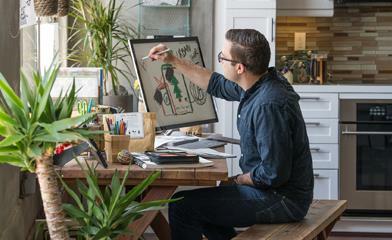 With this update, creating a new notebook on OneDrive is a breeze. On the Notebooks list, in the top right corner, tap the overflow menu, then tap Create Notebook. Then type your new notebook name. Seriously, what good is a notebook if you can’t create a section in it? Now you have the freedom to create a new section in any of your OneDrive notebooks. On the Section list, tap the overflow menu, and then tap Create Section, and name your new section. You don’t really need that section anymore? Can’t remember the last time you created or accessed a note from that section? Or you created a section to try out the awesome new features introduced in this release? 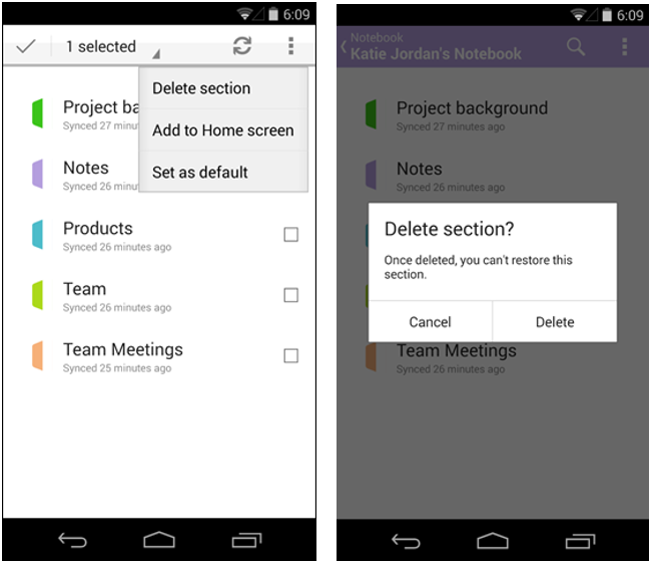 In the Section list, tap and hold the section you want to delete. On the overflow menu, tap Delete section, then tap Delete. To further improve your OneNote experience, we’ve fixed some other issues, such as pasting from the clipboard and better content rendering on some of your devices. Please continue to share your thoughts and ideas through the in-app feedback and in reviews on Google Play. We’re listening.